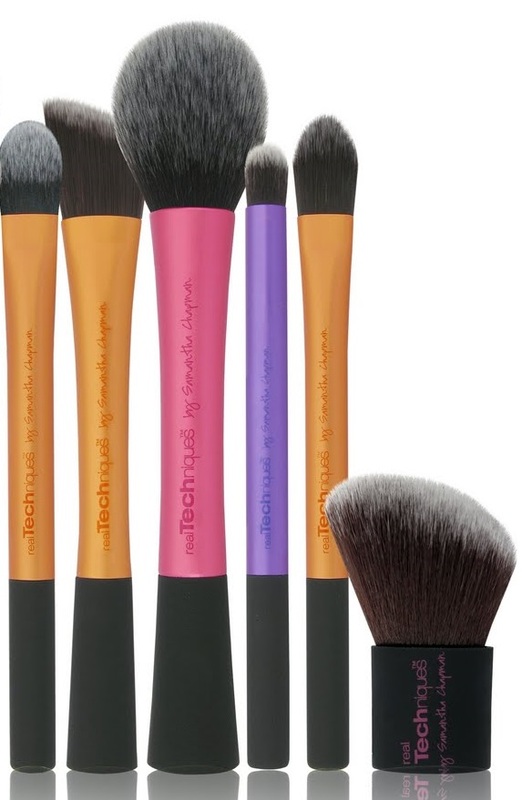 Today’s synthetic makeup brushes are not your grandma’s stiff nylon bristles. 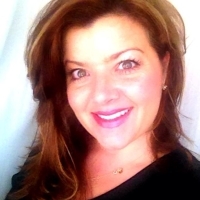 So if you only know the name “Taklon,” it’s time to expand your beauty vocabulary. 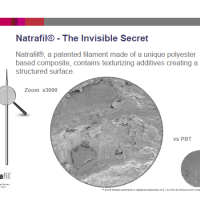 Today’s modern synthetic fibers, such as Tafre and Natrafil, offer excellent “pickup and payoff” of powder makeup, in addition to liquids and creams. 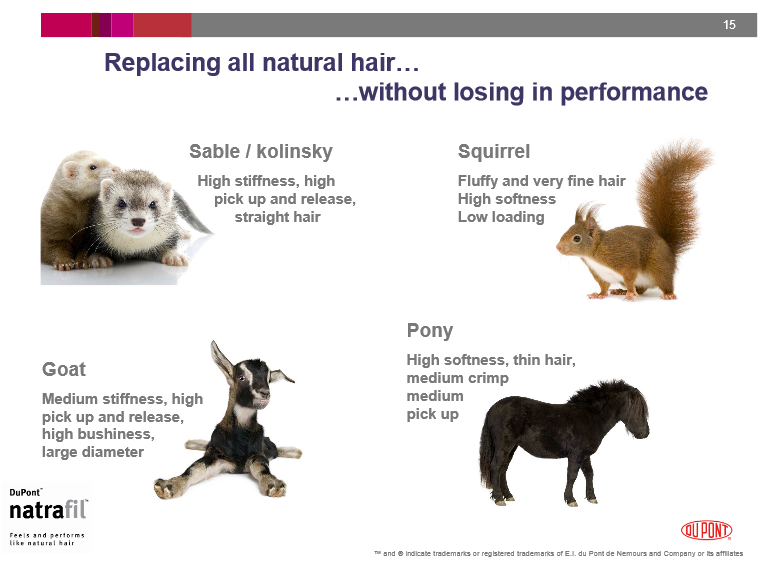 That’s because the cuticle of real animal hair is covered in dead cells that form scales, which are layered along the hair shaft in specific shingle patterns. 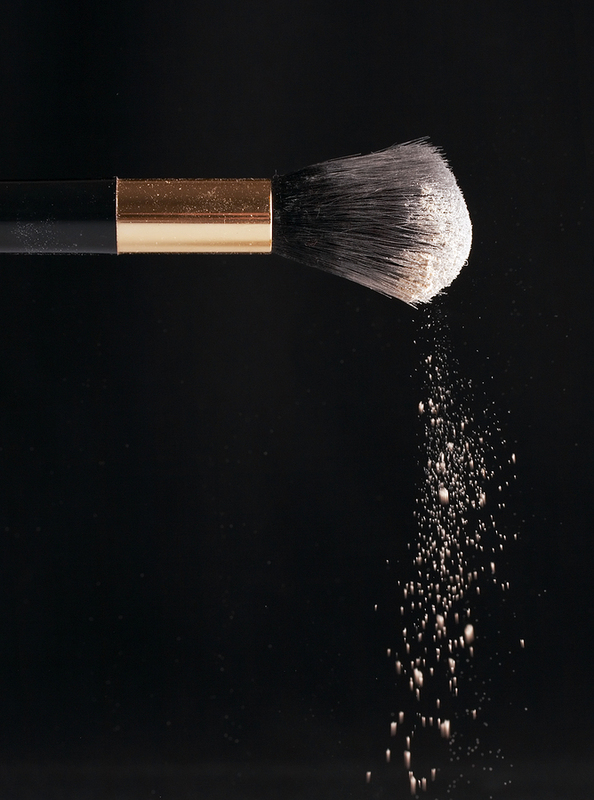 Sometimes these scale layers can run 12 layers deep, too, providing lots of nooks and crannies that serve as little scoops to pick up powder makeup particles and ultimately deposit them on skin. Then, once the brush makers have the animal hair, there are also issues with the quality — or grade of the hair — and the consistency of its color, among other factors. 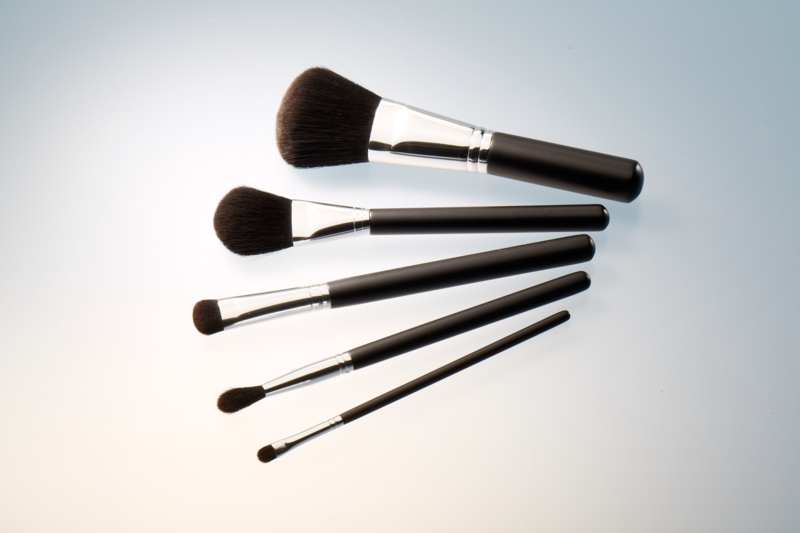 When a brush maker is making a huge product line of brushes for, say, the Estee Lauder brand, where all the brush hair needs to be consistent, these issues can be significant. 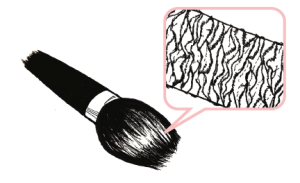 That’s why a lot of brush hair is still dyed, which you can see bleeding from your brushes after washing sometimes. 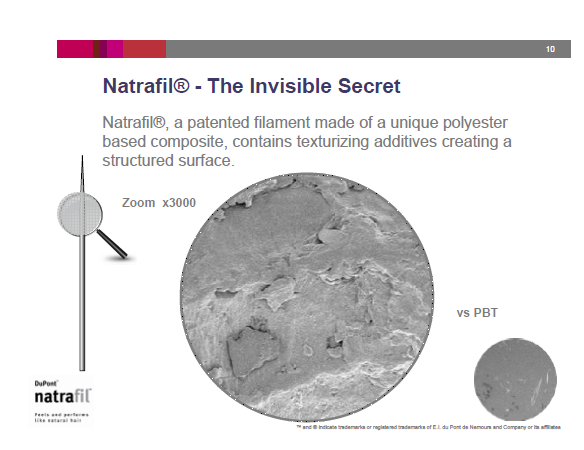 Now, there are a lot of fancy synthetic fiber names on the market today – and most don’t really explain what they are — so it may be difficult to tell if you’re getting brush made of Tafre or Taklon. 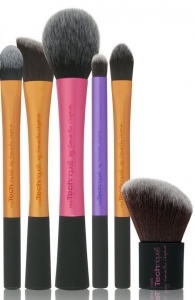 Very few sellers of makeup brushes are transparent about the synthetic material used. For example, the new Alexis Bittar Liquid Gold brushes at Sephora says they have “Satine” fiber, whatever that is?! They say it’s “revolutionary” but don’t explain. Too Faced says its brushes use “Teddy Bear” hair. Again, that comes with no explanation. 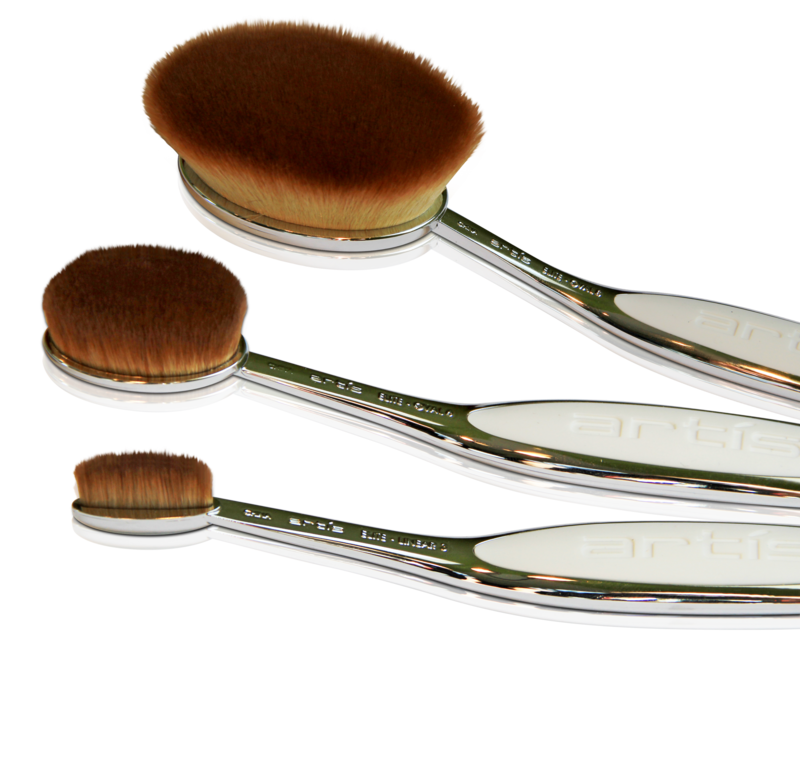 The innovative new Artis brushes to the left here use “Cosmefibre,” which comes with just a tad more explanation, but still not as much as I would like for something I’m rubbing on my face every day. 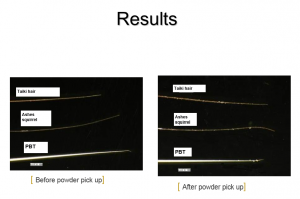 There’s one sure-fire way to get an advanced-synthetic fiber brush: Make sure to test a brush before you buy it by dipping it in some powder to see if it falls off. Just give it a light shake and see what happens. An advanced synthetic will hold onto most of the powder until you actively deposit the powder on your face. Most important of all, don’t believe the old adage that synthetics are only good for liquid and cream products. That’s just not true anymore! 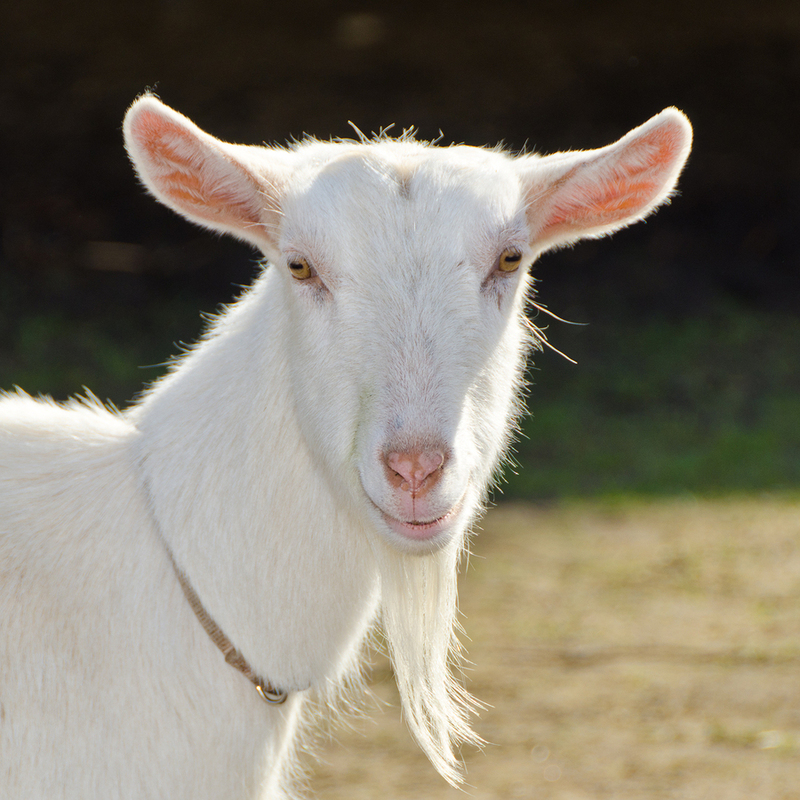 Love this article and its emphasis on not using products that harm animals! However, please read article linked below about DuPont. Brilliant article and a really interesting read. 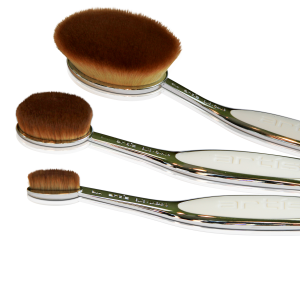 Where can you buy the Taiki Tafre brushes?